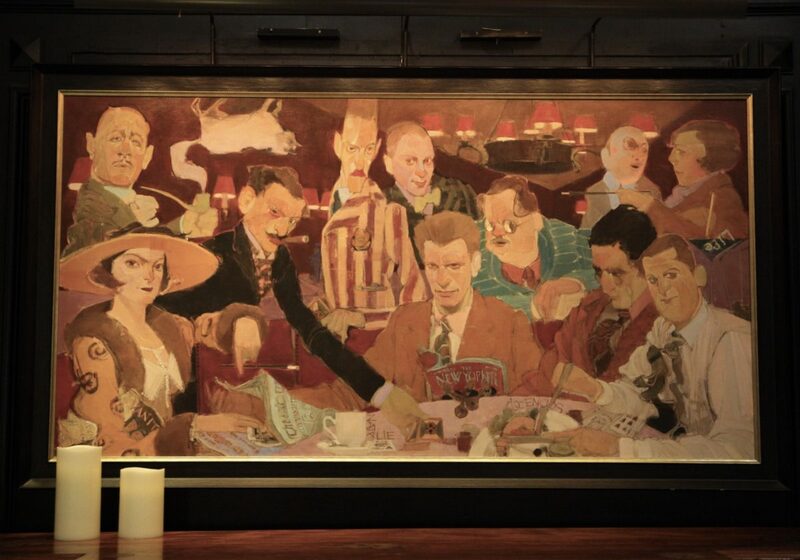 A portrait of the Round Table at the Algonquin Hotel. There are certain places in New York that make you feel like you’re late to the party. By the looks of the 21 Club on West 52nd Street, I’ve missed this one by about 86 years. Its heyday dates back to the 1920s when it was the speakeasy of choice for my literary heroes, who came here for the best bootleg gin in town and stayed until they were under the table. 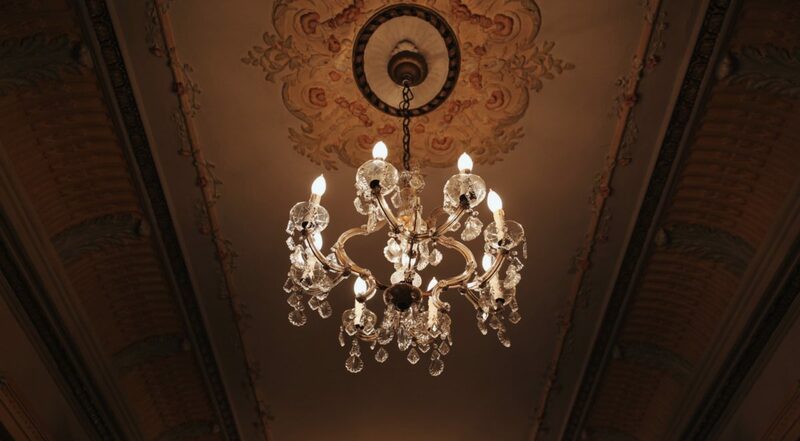 Antiques and collectibles still hang from the ceiling today, offering a glimpse into an era long past: flappers gliding across parquet floors, martini glasses clinking in clandestine corners, hidden from the night behind thick oak doors and secret passwords. I sit at the bar where Dorothy Parker once sipped gin martinis during Prohibition, which will celebrate its centennial next year. One of New York’s most beloved satirists and poets, Dorothy immortalized the champagne haze of the interwar period with clever witticisms and bon mots. Jazz Age intrigues were laid bare in her poetry and prose, in her magazine articles (for Vogue, Vanity Fair, The New Yorker) and collected essays. Later in life, Dorothy devoted herself to the civil rights movement in support of Dr. Martin Luther King, whom she left her estate to when she died in 1967. Dorothy Parker via Wikimedia Commons. In her 1928 essay “My Home Town,” she mused that “London is satisfied, Paris is resigned, but New York is always hopeful. Always it believes that something particularly good is about to come off, and it must hurry to meet it.” In this spirit, I visit her favorite haunts with a notebook in one hand and a cocktail in the other. I try to imagine what she’d think of these places now, and where she’d spend her time if she were a freelance writer in the city today. The Dorothy Parker cocktail made with Dorothy Parker Gin at the Blue bar in the Algonquin Hotel. 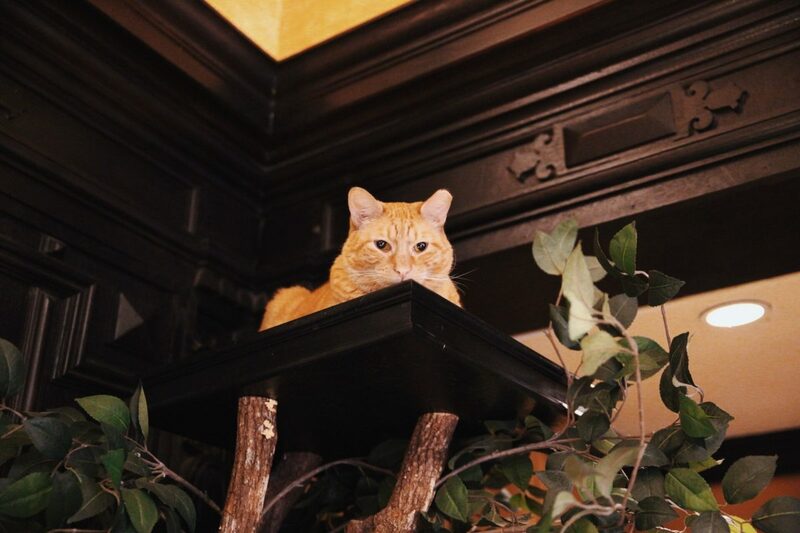 Hamlet, the Algonquin Cat, sits in his tree house. 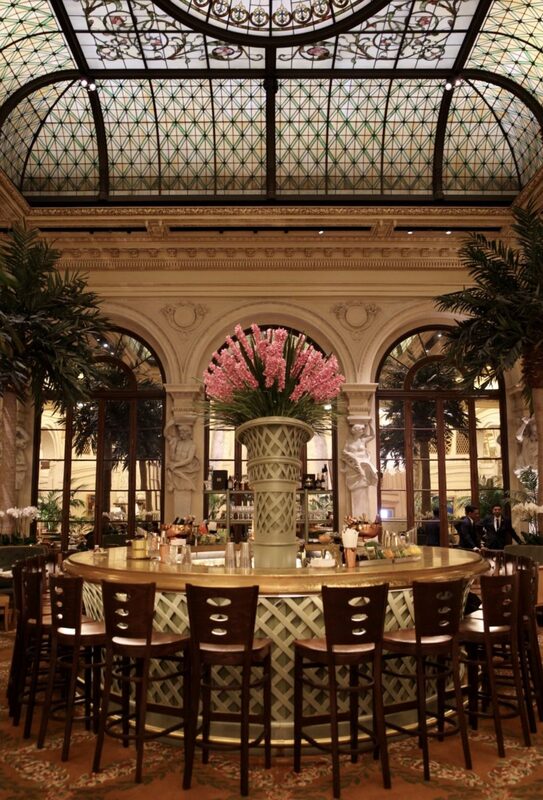 The Palm Court at the Plaza Hotel. Each stage of Dorothy’s life can be traced to a series of hotels, where she was either a resident or faithful bar patron. As a budding writer, she would drink bourbon at the Plaza Hotel where she was once fired from Vanity Fair over brunch. (“Vanity Fair was a magazine of no opinion, but I had opinions,” she told the Paris Review in 1956). The storied Plaza still retains its old-world charm today. Well-heeled women in fur hats pop in and out of the Guerlain Spa, and drink premium bubbly at the Champagne Bar overlooking Fifth Avenue. I book an Afternoon Tea at the Palm Court Tea Room for the mouthwatering desserts (coconut rum chouquette, bergamot ganache) and lush surrounds inspired by neighboring Central Park. 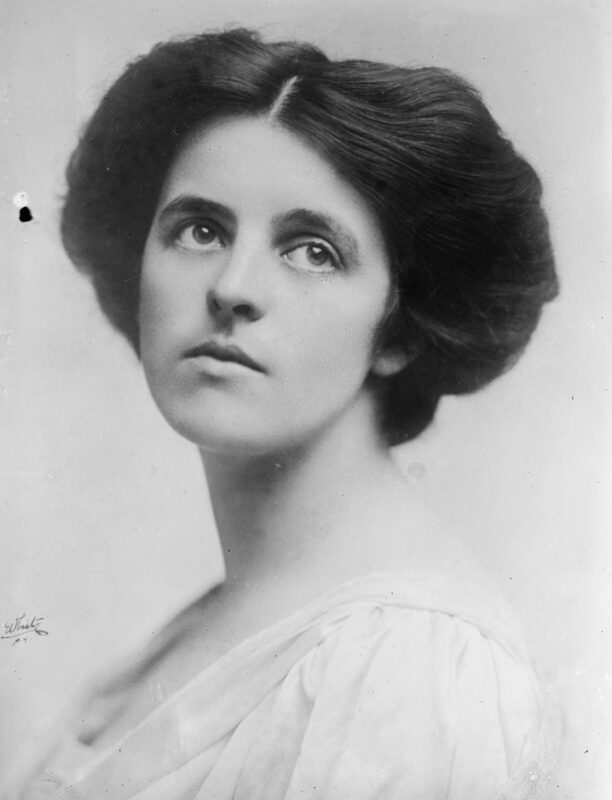 Dorothy is most known for her time at the Algonquin Hotel where she co-founded the famous Algonquin Round Table, a literary lunch club for the era’s most celebrated writers and editors. 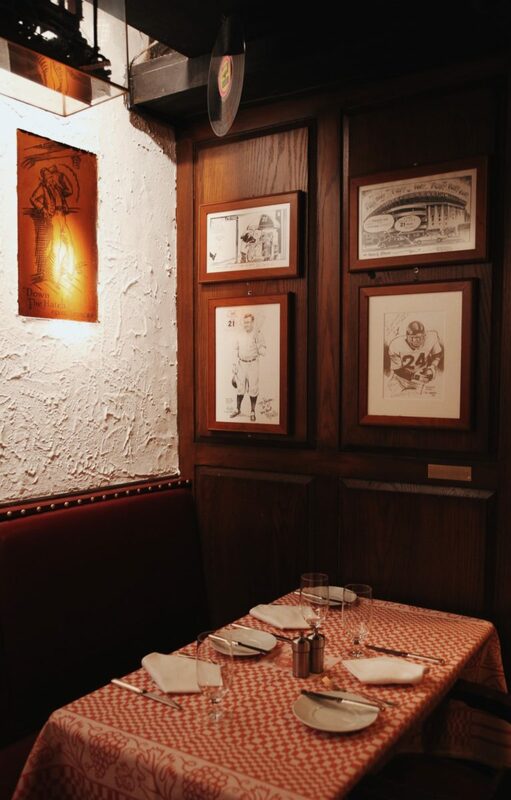 Situated on a quiet block on West 44th Street, the National Literary Landmark is the oldest operating hotel in the city and it still caters to writers today; all rooms are outfitted with work desks and copies of The New Yorker, which was birthed at the Round Table, are complimentary for guests. A resident feline has free roam of the property (a tradition since the 1920s), which also hosts an annual Cat Fashion Show each summer. I find a corner table at the boldly indigo Blue Bar and order the Dorothy Parker cocktail, made with Dorothy Parker Gin of course, and it is delicious. Cort Theater on West 38th Street. Dorothy was the first female drama critic for Vanity Fair, and later went on to skewer performances for The New Yorker; she did not mince words. Most nights were spent on Broadway, where she would often attend several premiers in one night. Many were held at the Cort Theatre on West 48th street, one of the oldest Broadway theaters in the city. Modeled on the Petit Trianon in Versailles, the theater is still worth a visit and is currently running a production of King Lear through the summer. As Dorothy was a fan of unlikely love stories (she was nominated for an Oscar for the original A Star is Born screenplay), I buy a ticket for the surprisingly lovely Pretty Woman musical at the Nederlander Theater on West 41st street. New York’s theater scene, however, has long surpassed the confines of Broadway. Now, some of the most eye-catching and experimental productions are found downtown and in Brooklyn, in buzzy theaters like St. Ann’s Warehouse, a converted tobacco house in Brooklyn Bridge Park. An adaptation of Grief is the Thing with Feathers starring Cillian Murphy premiers here this spring. The 21 Club on West 52nd Street. 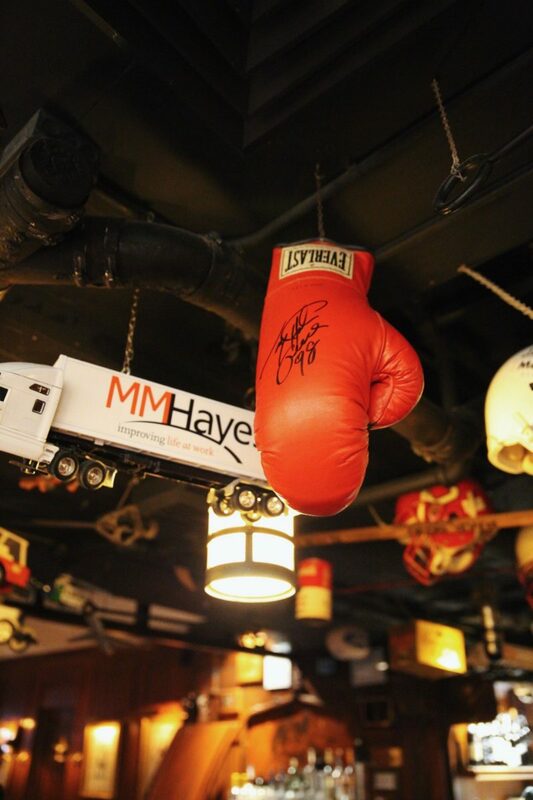 Decor at the 21 Club. After the theater, Dorothy and co. would chase their favorite speakeasies across town as they closed and reopened in unlikely places to avoid discovery. The famed 21 Club was a more permanent fixture where, rumor has it, Dorothy dined the night the market crashed in 1929. Today, the landmark feels somewhat dated but in an endearing way. 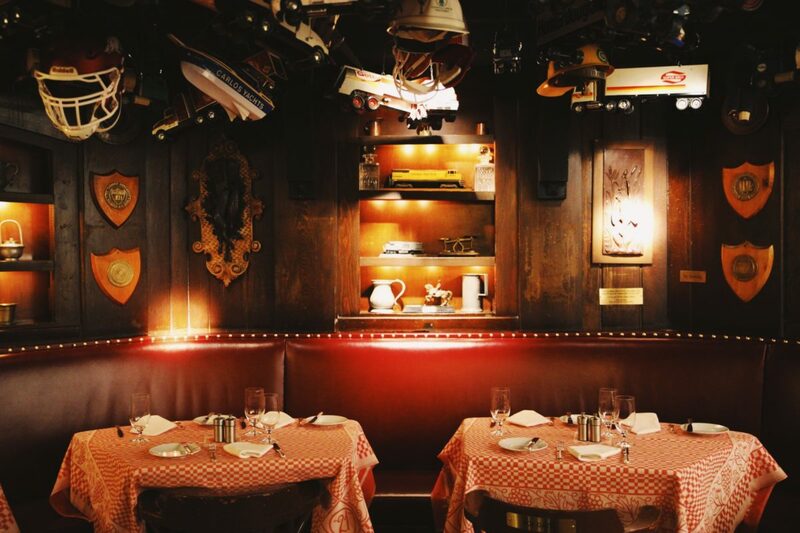 The once secret cellar still carries leftover bootleg gin, an impressive wine list, and the classic American fare (featuring a $36 burger) is popular for ritzy business lunches. 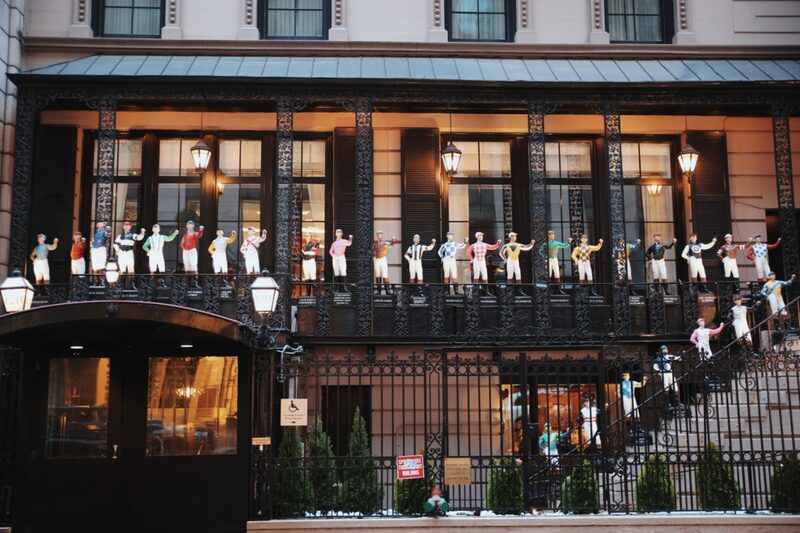 But the sports relics on the wall and the miniature jockeys that frame its exterior—a nod to famous patrons of yesteryear—give it a country club air. While some of the original speaks still exist (The Back Room, Chumley’s), the nearest drinking-hole with an air of speakeasy to the publishing elites at Condé Nast is The Bar Room of the Beekman Hotel downtown. 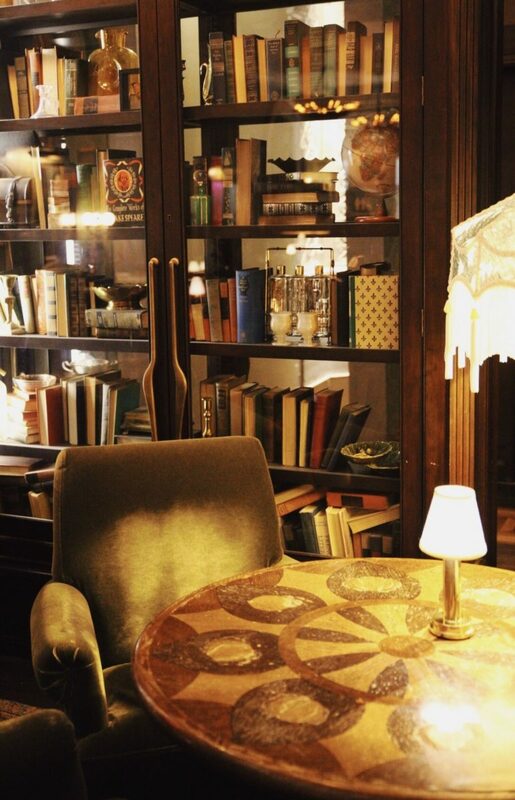 The hotel was once a library, a theme echoed in the bar’s menu and decor—a portrait of Edgar Allan Poe hangs near a grand bookcase, and cocktails are named after luminaries like Norman Rockwell and Nina Simone. The Bar Room at the Beekman Hotel. Modern takes on the speakeasy still abound across the city. 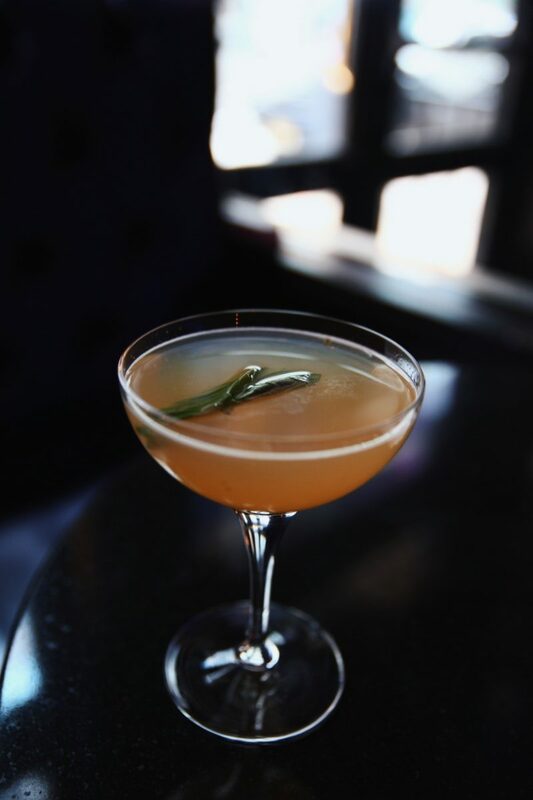 Hidden inside a Japanese restaurant in the East Village, Angel’s Share serves a mean martini in an intimate setting; only small parties are allowed, but the wait for a table is always worth it. In the Bushwick neighborhood of Brooklyn, a mural of a boxer marks the entrance to Featherweight, a tiny gem so discreet that some locals walk past without ever noticing it. Cocktails here have a Caribbean twist, but the cozy interior is packed with Jazz Age nostalgia. 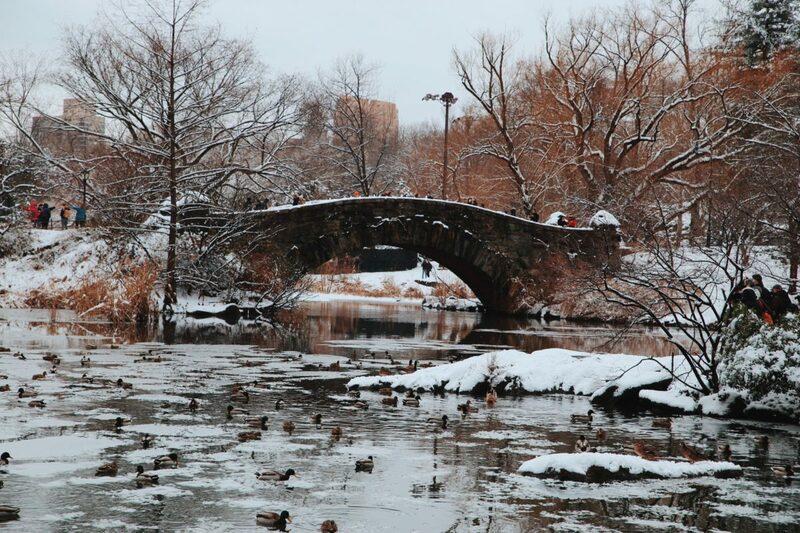 Gapstow Bridge in Central Park. 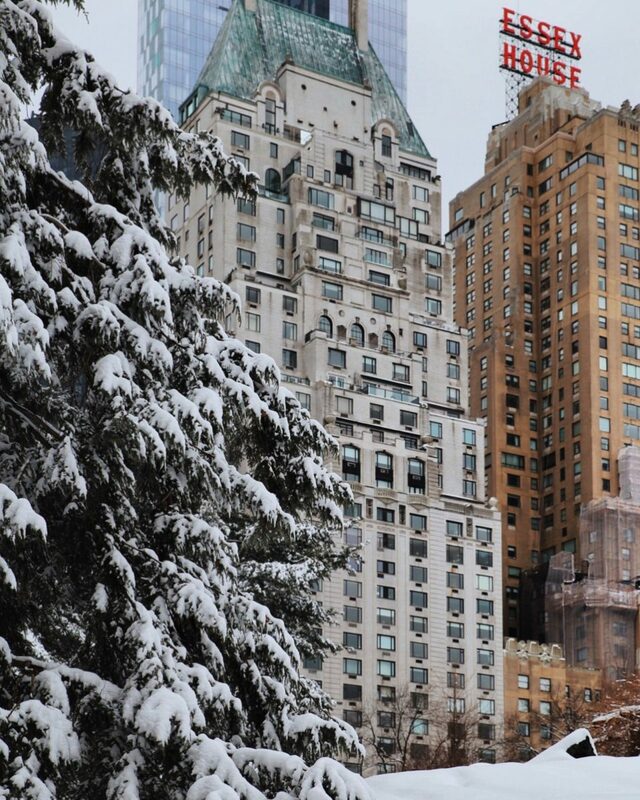 It’s hard to imagine Dorothy far from the Upper West Side where she lived most of her life, never more than a stone’s throw from Central Park. She walked her dogs here each morning, perhaps stopping to read in the Shakespeare Garden on a warm day. I walk through the park after a fresh snowfall, dodging crowds that persist even in winter. A wonderful mix of locals and tourists luge down white-capped mounds and build snowmen with their children, while ice-skaters graze across Wollman Rink. Visitors surround the park’s numerous lakes, photographing the rowboats of Loeb Boathouse and relaxing on the perch of Wagner Cove Landing—a welcomed respite from the city’s soaring skyscrapers. Given the bustle of Midtown, I wonder if Dorothy would live in Brooklyn today like most of the city’s writers and creatives. If she were to venture East, she’d find Prospect Park to be oddly relaxing, with its wild expanse and quiet corners. It has fewer crowds than Central Park and many of the same charms— ravines with hidden waterfalls, flower conservatories, even a zoo. Bike paths and hiking trails stretch through dense forests and meadows. There is live music at the Bandshell each summer on the park’s southwest corner, where locals lounge on the grass and sip rosé out of plastic flutes. Cafés and bookshops spring from surrounding avenues and lively conversations carry in from bistros nearby. If anything, Dorothy would overhear something amusing to write about.